implant- supported bridges or dentures. Dentistry is defined as the art and science of restoring teeth and the supporting structures. In our office the doctor and our friendly staff are dedicated to achieve this goal to each and every patient. We thrive not only to treat your teeth, but to educate you on matters that will help you make the right decisions concerning the health of your teeth. We take our time to explain all choices available. 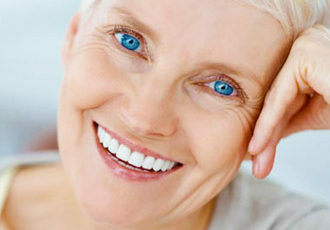 As a general rule, an informed and cooperative patient will be our partner, so we can ultimately provide you with the best treatment outcome.We recognize the benefits of a beautiful and healthy smile, and we help you in tailoring custom treatment as needed.Our core value is excellence in quality, accountability and affordability. 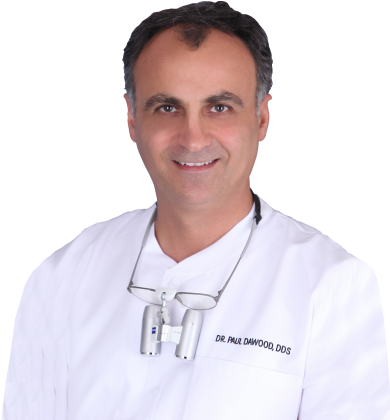 We promise you a durable, functionally balanced and esthetically pleasing dentistry. Dr. Paul Dawood added 2 new photos. Marijuana has been readily available these days in our society, the general consensus in the population that it's not harmful, and it's a safe thing to use. Loss of the bone supporting teeth in the mouth. Tooth decay, and tooth loss. Gingival hyperplasia (increase in the size of the gum tissue). Increase appetite for cariogenic foods and drinks. Possible peripheral dilatation and tachycardia associated with Marijuana toxicity when an anesthetic is given. Hello friends and patients, just want to share this important study linking periodontal (gum) disease with kidney disease. I'm copying it from the publication Dentistry Today. Chronic kidney disease (CKD) affects 26 million American adults, with millions more at risk, according to the National Kidney Foundation. It damages the body’s ability to remove wastes from blood, leaving sufferers at best tired and unable to concentrate, eat, and sleep. But it also could lead to anemia, weak bones, nerve damage, heart and blood vessel disease, and even death. CKD primarily is caused by diabetes and high blood pressure, yet periodontal disease may play a role too. Research has implicated it as a novel risk factor for CKD, though evidence of its association with kidney function decline over time has been limited. Scientists at the University of California San Francisco, however, recently completed research investigating this association. During a longitudinal retrospective cohort of 761 elderly men with preserved kidney function at baseline, researchers performed multivariable Poisson’s regression to examine the association of severe periodontal disease with incident CKD. They defined severe periodontal disease by 2 criteria: equal to or greater than 5-mm proximal attachment loss in 30% of teeth examined (European Workshop in Periodontology Group C, European Workshop); and 2+ interproximal sites with attachment loss equal to or greater than 6 mm and 1+ interproximal sites with probing depth of equal to or greater than 5 mm (Centers for Disease Control and Prevention/American Academy of Periodontology [CDC/AAP]). At baseline, the mean age of the subjects was 73.4 years (standard deviation 4.8), and 25.4% of the participants had severe periodontal disease. After a mean follow-up of 4.9 years (standard deviation 0.3), 56 participants or 7.4% had incident CKD. Severe periodontal disease was associated with a twofold greater rate of incident CKD after adjusting for confounders compared with not-severe periodontal disease by European Workshop criteria, but it did not reach statistical significance by CDC/AAP criteria. When should my child have an orthodontic exam?